In this chapter we present a recursive approach to unsupervised learning. The algorithm proposed, while similar to ensemble clustering, does not need to execute several clustering algorithms and find consensus between them. On the contrary, grouping is done between two subsets of data at one time, thereby saving training time. Also, only two kinds of clustering algorithms are used in creating the recursive clustering ensemble, as opposed to the multitude of clusterers required by ensemble clusterers. 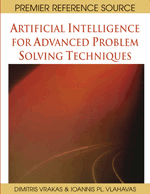 In this chapter a recursive clusterer is proposed for both single and multi order neural networks. Empirical results show as much as 50% improvement in clustering accuracy when compared to benchmark clustering algorithms.